Simple : Designed for business users. No programming skills required. Fast: Automate 60-70% of core business process validation in 90 days or less. Rapid ROI. Complete : True end-to-end business process validation & discovery covering all major technologies and platforms. WHAT IS WORKSOFT ALL ABOUT? As a end-user, capture the full process with special cases and simplifies maintenance effort. Worksoft Certified is a non-programming application and usage. To better answer SAP Key users needs, processes automation are working based on a "lego" methodology as best practice. Each transaction in SAP representing one "lego" which can be re-used in any End2End scenario. Thanks to Layout and recordset, you can also automate your dataset. Certified on SAP, Worksoft university and ISTQB, we help you in building your entire testing strategy and automate your business end-to-end process. If needed, the automation can be done on other application. 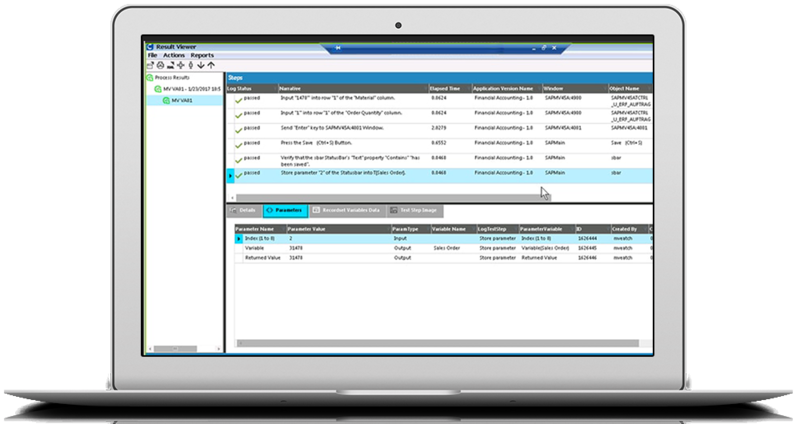 Worksoft is compatible with all SAP Solutions et facilitate the automation of processes validation on each module.